In any materials handling operation, we find the four basic handling functions; loading/unloading, horizontal transportation, stacking and order picking. All of which add to the cost and not the value of a product or service. The most labour intensive of all these is order picking. 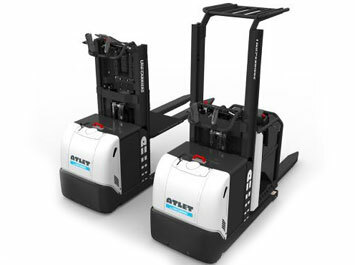 This also makes it the most expensive of all material handling functions. In fact, the cost of order picking can be up to ten times the cost of the other three handling operations added together. Faster performance in the other three handling methods will have an impact on saving money, but maximising the performance of the picking operation will create the largest and most significant cost reduction. Design, rather than luck, is the key to achieving this. The physical act of order picking an item from a storage location and placing it on the load carrier is limited in terms of performance improvement. However, the location of the picking stock and getting the operator closer to that location are the two main factors that can have a tremendous influence on reducing order picking costs. Pickers struggling to access a product waste time and your money. Pickers that gain quick and easy access to a pick location get the job done efficiently. They make better use of the time available to them, thereby significantly helping to reduce costs. The ATLET by UniCarriers EPL truck is designed to provide quick, ergonomic and cost-effective order picking. The EPL is a medium level order picking truck available in two basic configurations to facilitate order picking either from racking or shelving systems. The ATLET by UniCarriers EPL 100 allows easy order picking from a height of 2800 mm to 3400 mm. By providing the operator with immediate free access to pick locations, the EPL reduces the time required for order picking, thereby cutting costs and increasing profitability. ProVision over head guard and mast concept for maximum visibility and safe driving. Pro-Access side gates with automatic sensors to prevent use of the truck with gates open when above 1200 mm. Walk beside button to aid quicker picking from two adjacent locations. Low step in reduces fatigue and improves performance. An automatic floor sensor establishes driver presence and engages stop mode upon departure.